Our school lunch provider, The LunchMaster, offers a daily menu with five hot entrees and cold entrees that range in price. 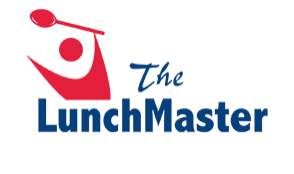 All ordering and payment for these meals is online through www.thelunchmaster.com. After you've entered the school code click "Sign Up Now!" Follow the account creation process and then look for a confirmation email that will be sent to the address you registered with. You must validate your account before ordering. For more information, or if you have questions about our school lunch program please visit the district website at: http://rossvalleyschools.org/parents/lunch, or contact Jennifer Wright in the District Business Office at jwright@rossvalleyschools.org or (415) 451-4074. The Ross Valley School District participates in the National School Lunch Program. Meals are served every school day at each school site. Students may buy a lunch with the regular price. Eligible students may receive these lunches free or at a reduced price of $.40. If you think your child(ren) may be eligible for the free or reduced program, please read about the program and complete the attached meal application. If your child(ren) was on the free- or reduced-lunch program last year, your child(ren) will continue to receive school lunches until September 20, 2018. You must have a new application on file by September 20, 2018 in order to continue receiving meals after this date. Incomplete applications will be returned.